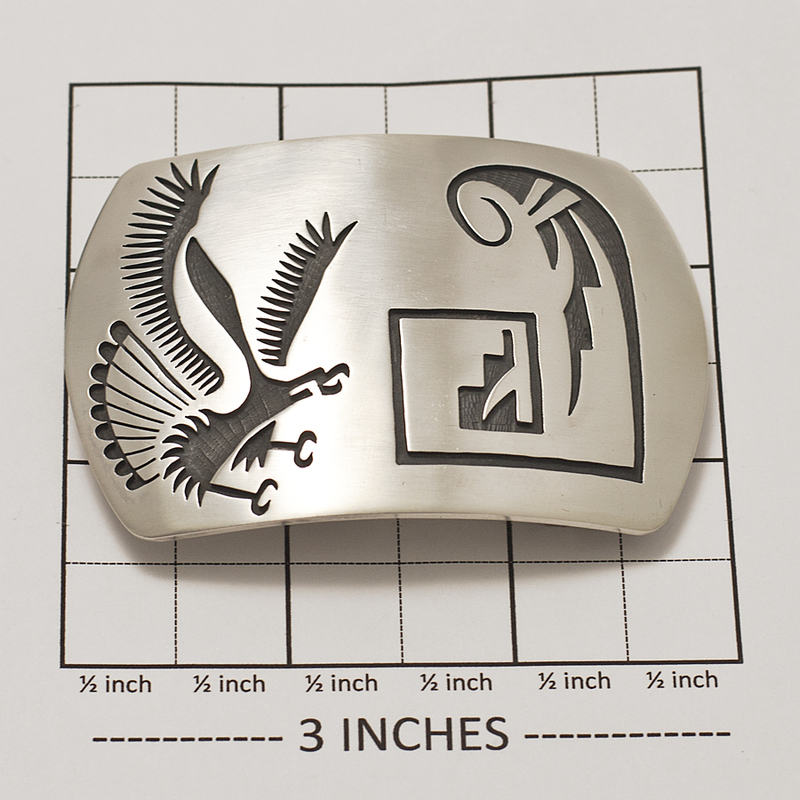 Satin finish sterling silver buckle with an eagle and geometric design by Hopi artist Darren Seweyestewa of the Coyote clan. With a slight doming and rounded corners, you’ll be reaching for this buckle every day. Hallmarked “DS” and Sterling. As shown will fit a 1 1/2″ belt. 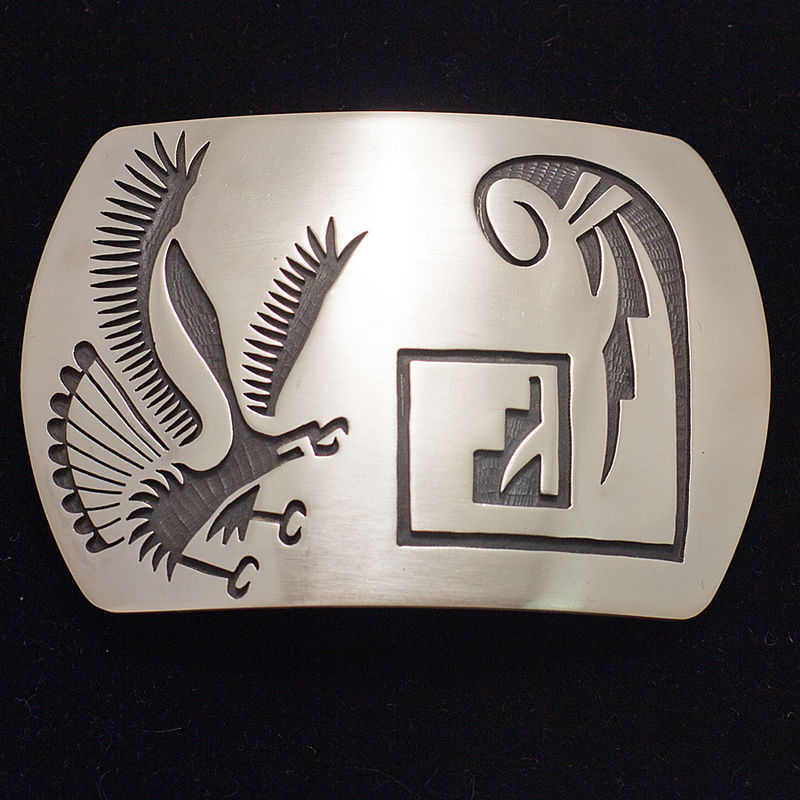 Darren Seweyestewa Eagle Western Buckle crafted by this skilled Hopi artist of the Coyote Clan.